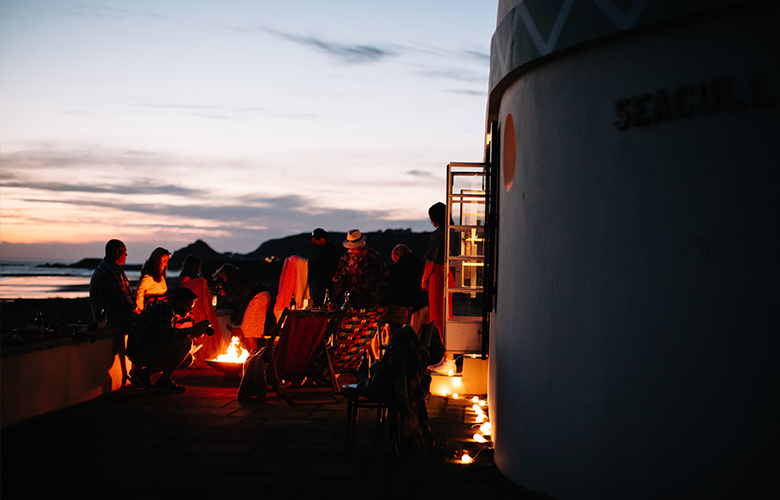 In June 2016, Visit Jersey shared a fresh new approach to tell Jersey’s story, highlighting the power the island has to refresh and revitalise, reconnect and rediscover. Jersey is not for the old. Or for the young. Or any particular age range and that you can’t condense it down to a single iconic image or experience. It’s not just a city break. Or a country break. Or even a beach break. It’s 'the island break’ for anyone with a zest for life. This is how we will start to show Jersey to the world. Working with branding experts Fururebrand, Visit Jersey began the challenge of re-positioning Jersey, as a relevant destination for today’s traveler. Starting by speaking with the people that know the island best, the local community, it was identified that current perceptions of Jersey, did not reflect how the island makes you feel, and did not present an exciting proposition. It was time to challenge these existing perceptions of the island and create a new compelling proposition that showcased the most relevant and engaging features of Jersey in a more expressive way. The new brand focuses on the evocative emotions travelers are likely to feel on visiting the island – revitalized, calmed, refreshed and rejuvenated. Reminding past visitors of Jersey’s unique, special appeal and inspiring new visitors to experience the island for themselves. Jersey is just one of those places, you can’t boil it down to a single an experience. It just makes you feel different. That is what the brand work helped us identify, we now have a story that is crafted with content and honesty.